SACRAMENTO, Calif. /California Newswire/ — A series of news stories highlighting billions of dollars in workers’ compensation fraud in California over the last several years has prompted Calif. 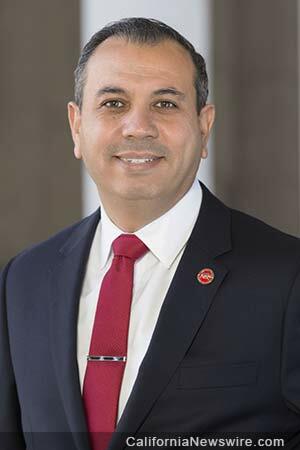 Senator Tony Mendoza (D-Artesia), Chair of the Senate Labor & Industrial Relations Committee, to call for a comprehensive review of what the state is doing to combat fraud. “Taken individually, these fraudulent schemes are troubling. Taken together, they raise unsettling and disturbing questions about our ability to fight against systemic fraud throughout California’s workers’ compensation system,” added Mendoza. Senator Mendoza has requested that the Department of Industrial Relations and CHSWC perform a comprehensive joint review of existing anti-fraud efforts, and determine what if any steps can be taken to strengthen the state’s anti-fraud efforts. See letter below. “It is imperative that that we determine whether there are any regulatory or legislative solutions to fix and prevent such fraud in the workers compensation system,” added Mendoza. During the past year, Senator Mendoza has held a series of hearings on the state of the workers’ compensation system with key stakeholders including the Division of Workers’ Compensation (DWC), organized labor, employers, and workers’ compensation attorneys and injured workers regarding unusual claims activity in the Los Angeles Area and on the progress of implementing SB 863 (2012), which created a new formulary in order to reduce medical disputes, speed up medical provider payments, and ensure that injured workers are receiving necessary care. As you are no doubt aware, the Commission on Health and Safety and Workers Compensation (CHSWC) played a vital role in creating the statistical and analytical foundation for the seminal 2012 workers’ compensation reform, SB 863 (DeLeon). Prior to the enactment of SB 863, delays of medical treatment for injured workers were common, as treatment decisions were made at the Workers Compensation Appeals Board (WCAB), rather than by doctors. Medical costs continued to rise, and the flood of workers’ compensation liens undermined the healthy operation of the entire system. The potential of a system wide breakdown comparable to the travails of the early 2000s seemed to be a real and present fear. Today, due to the passage of SB 863 and the efforts of the Division of Workers’ Compensation, these fears did not come to pass. Instead, workers’ compensation premiums are heading in a downward direction, providing necessary relief to California’s small employers. Additionally, injured workers are receiving appropriate medical treatment in a timely manner. With the creation of a workers’ compensation formulary, it is likely that medical disputes will decrease dramatically, leading to faster and less expensive medical treatment, improving the system for both injured workers and employers. And yet, there is a specter haunting California’s workers’ compensation system. That specter is fraud. As was recently detailed by the Center for Investigative Reporting, at least $1 billion in medical fraud has been uncovered by current workers’ compensation prosecutions. These include fraudulent or unnecessary surgeries and compound medicines, as well as the selling of patient referrals to lawyers and doctors. Taken individually, these fraudulent schemes are troubling. Taken together, they raise unsettling and disturbing questions about our ability to fight against systemic fraud throughout California’s workers’ compensation system. 1) Does the Department of Industrial Relations have tools under current law that they are not currently using to combat workers’ compensation fraud? 2) What policy reforms are necessary to better combat workers’ compensation stakeholder fraud? 3) Is the current structure of the Division of Workers’ Compensation sufficient to combat workers’ compensation fraud? 4) Are the Department of Industrial Relations and California Department of Insurance coordinating anti-fraud efforts in an effective manner? 5) Is Department of Industrial Relations fully utilizing available data to detect and communicate with workers’ compensation stakeholders who are behavioral outliers? Does DIR work with other anti-fraud entities, such as the California Department of Insurance Fraud Division, to detect and communicate with workers’ compensation stakeholders who are behavioral outliers? 6) Does the Department of Industrial Relations need additional resources to fight workers’ compensation fraud? 7) Does the Department of Industrial Relations need a specific anti-fraud unit to address workers’ compensation fraud? 8) What kind of metrics can be used to monitor stakeholder behavior and measure if problems are getting better or worse? 9) Are the California Department of Insurance investigative resources being effectively utilized? Are the DA prosecutorial resources being effectively utilized? Thank you in advance for your attention to this review. As was the case in 2012, I believe that the California workers’ compensation system may be at a reflection point if fraud is not effectively and aggressively curbed. Noting the historical role of the Commission in improving the workers’ compensation system for all stakeholders, I look forward to your assistance in the struggle against fraud.